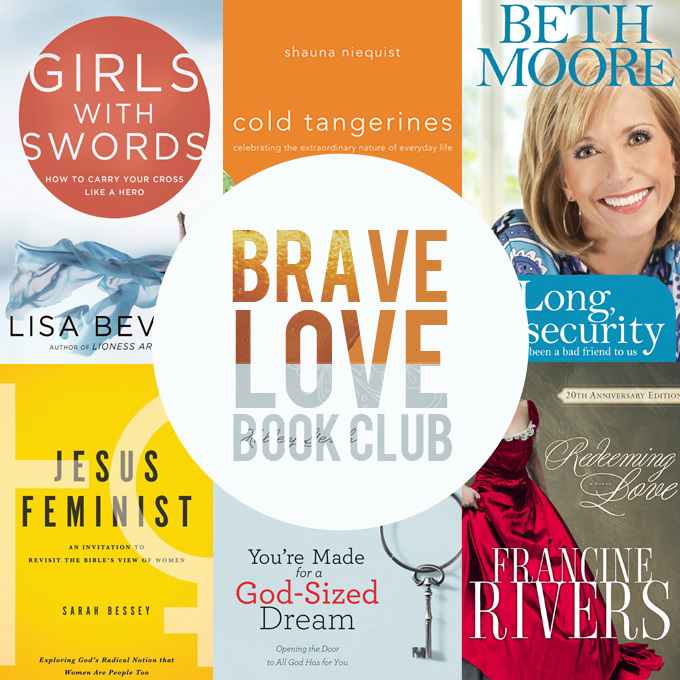 Love Bailey Jean: Introducing the Brave Love Book Club! I love this idea! I will definitely join you for some of those books. I read Redeeming Love when I was in college, but would really like to go back through it again. I also just finished Bittersweet, and read Bread & Wine last year, and have been wanting to read Cold Tangerines next! I just love Shauna Niequist. And Beth Moore, too! You picked some great books! I've always heard so many good things about the book redeeming love book.mim surprised I haven't read it yet! I will try to join in on and as many books as I can. I've ready the Beth Moore book....life changing! This sounds awesome :) I have God sized Dreams and Crash the Chatterbox already waiting to be read! I'm new to your blog, and am so glad I found it when I did! This sounds like it's going to be great! Let's see if I can finish the three billion books I'm reading currently so I can join in! Suggestion for your reading list: Loveology by John Mark Comer. It's next on my list! I totally plan on joining this book club! I LOVE to read! SO EXCITED! This is going to be so fun! This is such a good idea!! I just finished reading A Little Million Ways a couple weeks ago, but I feel like it's one of those books that I would need to reread. I haven't read any of the other books -- but they look awesome! I can't wait to see how this book club goes! Also, I have been out of the blog world for a little bit, and didn't realize that you changed your blog name and design! I love it so much and I'm glad I found your new blog, as I was missing Anchored in Love Divine! Happy Spring, Bailey Jean!